Attorney Search Network meets the American Bar Association (ABA) Standards for Lawyer Referral Services. Attorney Search Network proudly uses the ABA Lawyer Referral and Information Service Logo. Require and verify that all panel attorneys carry legal malpractice insurance. 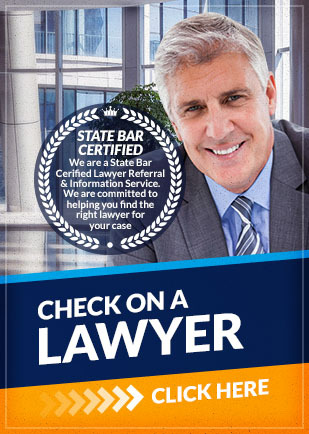 Use of the logo indicates that this program meets ABA standards for lawyer referral services. The ABA does not review the qualifications of the individual lawyers who participate in the service. For more details on the ABA standards, visit www.abanet.org/legalservices/lrsrules.html. If you have any questions about the information provided above, please contact us. Call Attorney Search Network toll free at (800) 215-1190 or fill out our online form for a lawyer referral.